Reinforced hinge and heavyweight cover for optimal durability. Round rings secure contents and keep rings aligned. Padded spine with label holder makes this binder as easy to hold as it is to identify the contents. Reinforced hinge and heavyweight cover for optimal durability. Round rings secure contents and keep rings aligned. 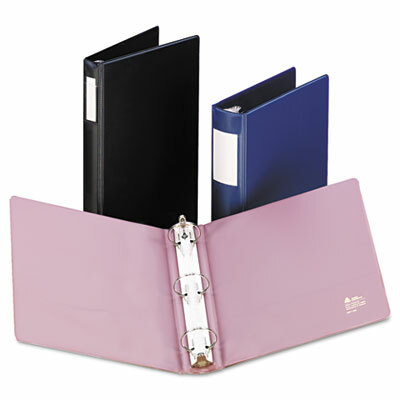 Padded spine with label holder makes this binder as easy to hold as it is to identify the contents. Two inside pockets for storing additional loose documents.